The 2015 TLT Symposium Program Committee is thrilled to announce that internationally-recognized educational innovator Eric Mazur will be the keynote speaker at the 2015 TLT Symposium. Can we teach innovation? Innovation requires whole-brain thinking—right-brain thinking for creativity and imagination, and left-brain thinking for planning and execution. Our current approach to education in science and technology, focuses on the transfer of information, developing mostly right-brain thinking by stressing copying and reproducing existing ideas rather than generating new ones. I will show how shifting the focus in lectures from delivering information to team work and creative thinking greatly improves the learning that takes place in the classroom and promotes independent thinking. 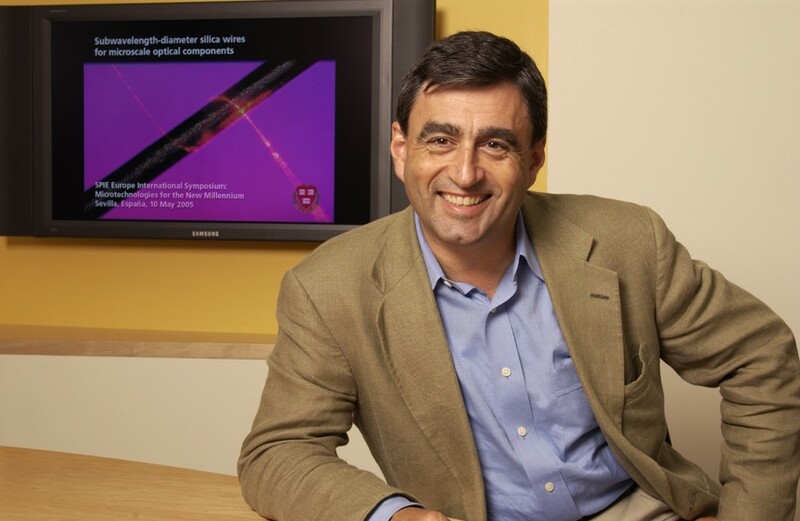 Dr. Eric Mazur is the Balkanski Professor of Physics and Applied Physics at Harvard University and Area Dean of Applied Physics. An internationally recognized scientist and researcher, he leads a vigorous research program in optical physics and supervises one of the largest research groups in the Physic Department at Harvard University. Dr. Mazur has made important contributions to spectroscopy, light scattering, the interaction of ultrashort laser pulses with materials, and nanophotonics. In 2014 Mazur became the inaugural recipient of the Minerva Prize for Advancements in Higher Education. In addition to numerous other awards and distinctions, Dr. Mazur is a Member of the Royal Academy of Sciences of the Netherlands and a Member of the Royal Holland Society of Sciences and Humanities. He holds an honorary doctorate from the University of Montreal and the École Polytechnique de Montréal and honorary professorships at the Institute of Semiconductor Physics of the Chinese Academy of Sciences, the Beijing Normal University, and the Beijing University of Technology. He has held appointments as Visiting Professor or Distinguished Lecturer at Princeton University, Vanderbilt University, the University of Leuven in Belgium, National Taiwan University in Taiwan, Carnegie Mellon University, and Hong Kong University. Mazur holds numerous patents and has founded several companies. One of them, SiOnyx, is SiOnyx is commercializing a patented semiconductor process, discovered in Mazur’s lab, that dramatically enhances the infrared sensitivity of silicon-based photonics. Another, Learning Catalytics, a company developing a software platform for interactive teaching, was recently acquired by Pearson. Mazur is Chief Academic Advisor for Turning Technologies, a company developing interactive response systems for the education market. In addition to his work in optical physics, Dr. Mazur is interested in education, science policy, outreach, and the public perception of science. He believes that better science education for all–not just science majors–is vital for continued scientific progress. Dr. Mazur’s teaching method has developed a large following, both nationally and internationally, and has been adopted across many science disciplines. Dr. Mazur is author or co-author of close to three hundred scientific publications, numerous patents, and several books, including Peer Instruction: A User’s Manual (Prentice Hall, 1997), a book that explains how to teach large lecture classes interactively, and Principles and Practice of Physics (Pearson, 2014), a book that presents a groundbreaking new approach to teaching introductory calculus-based physics. Mazur is a sought-after speaker on optics and on education.